Since 2008, homeowners in need of an electrical contractor serving the Sudbury, Massachusetts, area have put their trust in the experienced professionals at VMA Electric. We’re a full-service contractor that specializes in custom installation projects, and we take pride in the precise work and level of service we offer. Our electricians are well-trained, average more than a decade of experience, and always stay current on industry technology trends and best practices so they can use that knowledge to better serve our customers. Additionally, you can count on VMA Electric if you need an electrical contractor after normal business hours. 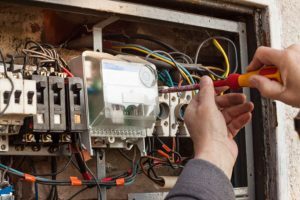 We understand that a wire can start sparking or a circuit panel can overheat at any time of the day or night, so we have a technician on call 24 hours a day, seven days a week, to make sure our customers are taken care of. Contact VMA Electric today to see for yourself why we are the electrical contractor that homeowners throughout the Sudbury, MA, area rely on.